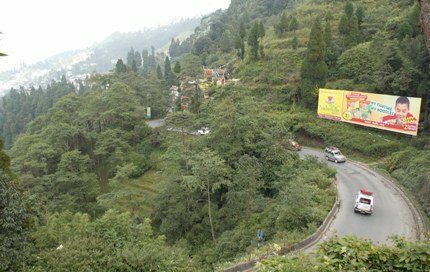 The state government's decision to create Kalimpong district and Mirik subdivision has triggered demands to upgrade Bijanbari block to a subdivision and carve out Sonada-Rangbull block out of Sukhiapokhari. The demand is being raised not only by political parties like the Gorkha Janmukti Morcha and the Trinamul Congress (Hills) but also by local people who have formed organisations like the Bijanbari Subdivision Demand Committee and Block Establishment Co-ordination Committee (of Sonada-Rangbull). The convener of the Bijanbari committee, L.M. Lama, said: "Bijanbari is one of the biggest blocks in the region. While we welcome the state government's decision to upgrade Mirik to a subdivision, we request the government to look into our demand to make Bijanbari a subdivision." The committee wants the government to create three blocks - Bijanbari, Rimbick-Lodhama and Rangneet-Lebong - in the proposed Bijanbari subdivision. Currently, Bijanbari block is in Darjeeling (Sadar) subdivision. The Block Establishment Co-ordination Committee has raised a similar demand for Sonada Rangbull. Committee general secretary Rajesh Chauhan said: "Since 2009, residents of Sonada-Rangbull area have been demanding a separate block. People of areas like Namsu, Balasun and Margaret Hope have to take three vehicles to reach Sukhiapokhri (for administrative work). This causes great hardships to them." The Morcha and Trinamul (Hills) have backed both the demands. N.B. Khawash, general secretary of Trinamul (Hills), said: "We have submitted a written request to the district magistrate of Darjeeling (on June 8) for creating a Sonada-Rangbull block, bifurcation of Kurseong block and the upgrade of Bijanbari to a subdivision." The hill subdivisions of Darjeeling, Kalimpong and Kurseong have eight blocks. Gorubathan is the largest block (442.72sqkm), followed by Bijanbari (known as Darjeeling-Pulbazar) spread over 416sqkm. The population of Bijanbari (1.26 lakh) is more than Gorubathan (60,663).